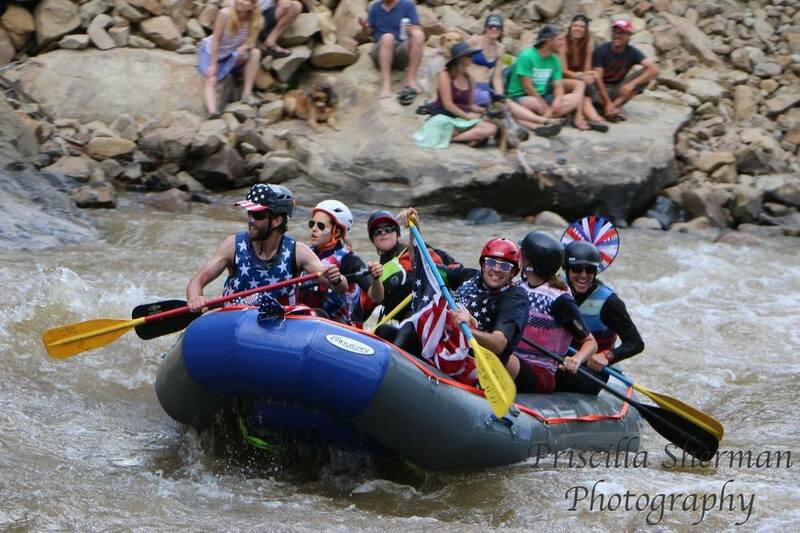 Animas River Days includes these sporting events: river surfing, stand-up paddling, freestyle kayaking, boatercross, raft and kayak slalom, an inflatable rodeo and the local's favorite costumed river parade. The Animas River is the heart and soul of our community! We are partnering with ​San Juan Citizen's Alliance and other local conservation groups to help you learn about how you can get involved in keeping our local rivers healthy and safe. We are committed to healthy rivers and healthy people. This is why we have made the commitment to be a Zero Waste event by 2020. Please read more about how you can help us: https://www.animasriverdays.com/zero-waste.html. Don't miss the River Parade Viewing Party at Santa Rita Park, 6 pm, with a live DJ. Ska Brewing Beer Garden opens at noon and will remain open throughout the parade. No public parking after 3 pm so please ride, bike or boat to the parade. 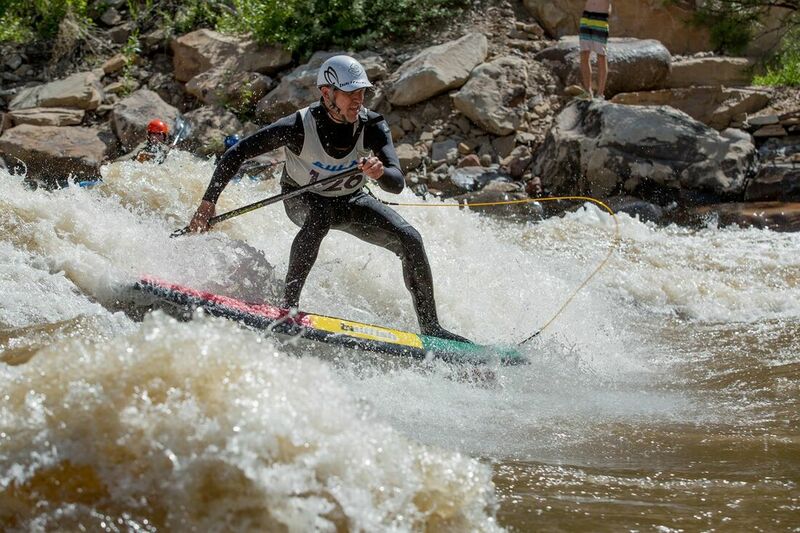 Paddling prodigy, Dane Jackson, competes at Animas River Days in the freestyle competition. The local's favorite River Parade Viewing Party starts at 6 p.m., June 1st, at Whitewater Park. Zach Hughes, co-owner of Badfish, spinning his way to the win in the river surf competition. Teams from all over the Four Corners come to compete in the Raft Slalom. Pictured here are Durango's own women's paddling team, Animas Amazons. 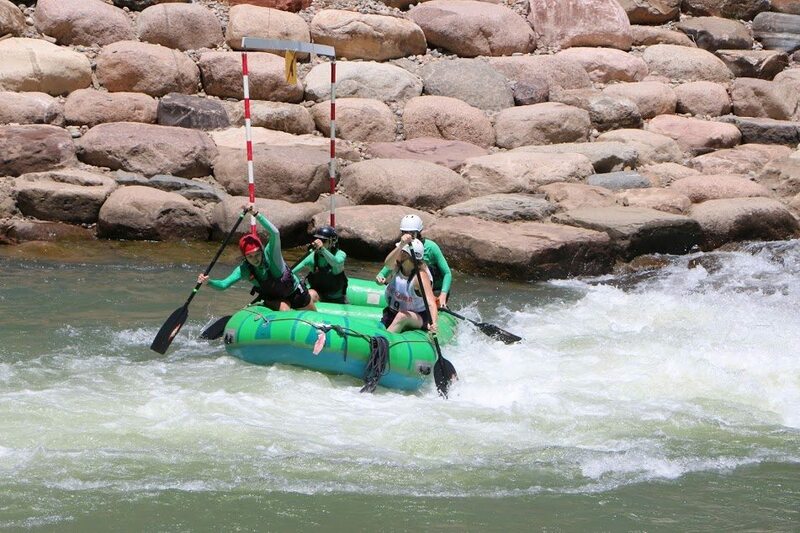 What Makes Animas River Days Different From Other Events? Our world class whitewater park includes key features including Smelter Rapid, Corner Pocket, Ponderosa Wave, and Clocktower. This year we have higher than normal snow pack and are expecting a near high-water event! 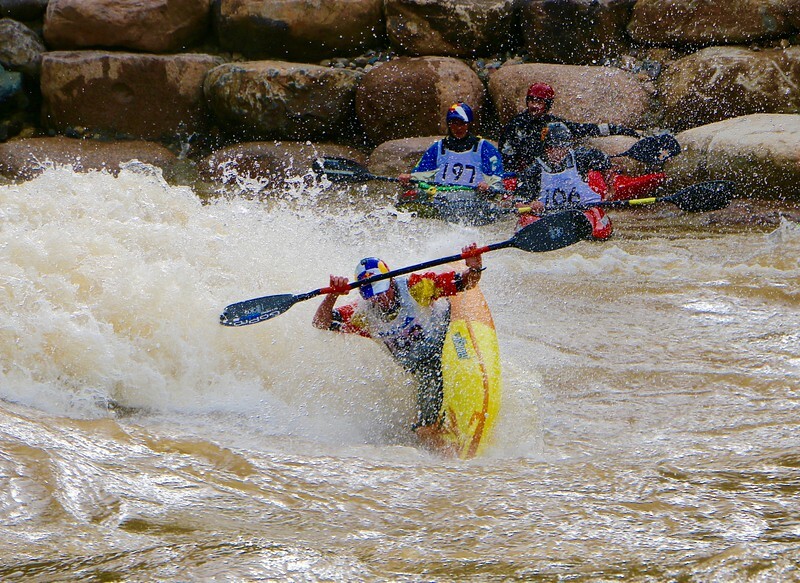 Pro-athletes from Jackson Kayak, Badfish, Liquid Logic, Red Bull, Pyranha, Hala and SOL have been known to compete at Animas River Days. We also have many talented local paddlers who will show off their skills during the events! Whether you are a newbie or a seasoned pro, Animas River Days' schedule of events will inspire you to live active, healthy lives while also keeping our rivers and environment clean and safe. Animas RIver Days has made the commitment to be Zero Waste by 2020. Being a Zero Waste event means reducing the amount of trash that goes to the landfills and focusing on using sustainable products that can be composted, reused, and recycled. We are the first event in Durango to attempt Zero Waste. We will work each year to limit the amount of trash we send to the landfill and hopefully we will lead the way in our Durango community for more events to follow suit. February 2019: We are now accepting sponsor and vendor applications for the 2019 Animas River Days, which takes place on June 1st! Email us for more information: animasriverdays@gmail.com.